After three participations, the energetic idols of BANZAI JAPAN finally hit victory for the annual Tokyo Candoll contest. They will therefore be flying to Paris, France for exclusive live performances at Japan Expo in July. Bonjour Idol went to talk to them to ask a few questions, so we could introduce them to you all before the event! Banzai Japan, nice to meet you! Thank you for letting us do this interview. Everyone: Thank you, nice to meet you! We are BANZAI JAPAN! Can you please introduce yourself one by one for our readers? Araragi Mau: I’m the Ibaraki evangelist, my name is Araragi Mau. Harukawa Ayumi: I’m one of the Saitama evangelists, my name is Harukawa Ayumi. Shimada Rena: Also from Saitama, I’m Shimada Rena! Asahi Julia: I am a Chiba evangelist, my name is Asahi Julia. Sato Itsuki: I’m the Tokyo evangelist, Sato Itsuki! Minato Rima: I am the Kanagawa evangelist, my name is Minato Rima. Yasuhara Mei: I am the Ishikawa evangelist, also leader of BANZAI JAPAN, my name is Yasuhara Mei. Nagayama Koma: From Nagano, my name is Nagayama Koma! Fujisaki Fumi: I am one of the Yamaguchi evangelists, also here with my little sister, my name is Fujisaki Fumi. Fujisaki Shiori: Yes, I’m the sister! (laughs) also from Yamaguchi, my name is Fujisaki Shiori. Nabana Maria: I’m the Chiba evangelist, Nabana Maria. Shida Rin: And coming from Nagasaki, my name is Shida Rin. Note: Nakano Himawari (Tokyo evangelist) and Sasagawa Sasa (Niigata evangelist) could not make it to the interview because of an another commitment in Niigata. This is our first time meeting, could you just explain BANZAI JAPAN’s concept as a reminder? Mei: BANZAI JAPAN is an idol group that was made to showcase the marvellous charm of Japanese culture through idol activities. We aim to spread the word and perform as ambassadors of all 47 prefectures all over Japan and the world, thanks to our specific music style and folding fans dances. 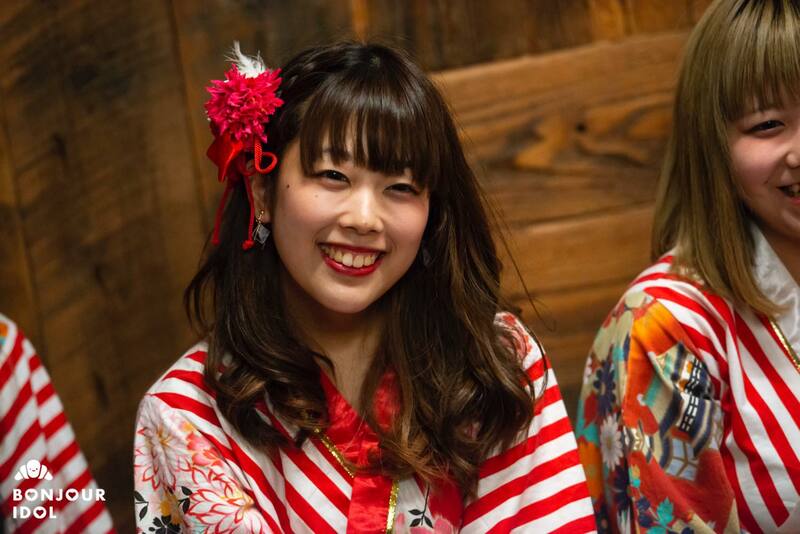 Fumi: Our musical style has many different types of music but is mainly inspired by traditional Japanese music, using a lot of traditional Japanese music instruments (wagakki). Our outfits are also inspired by traditional kimono and all our dances include folding fans as well! What about your goal of spreading your energy throughout all of the Japanese prefectures? Your first and main song “Banzai Japan!” is available on Youtube and the title says you are aiming for Tokyo 2020 Olympics… can you tell us a little more about it? Fumi: We initially started this because we wanted to become official supporters for the Olympics but it seems like it’s a bit of a stretch (laugh) But that was the idea behind it indeed! 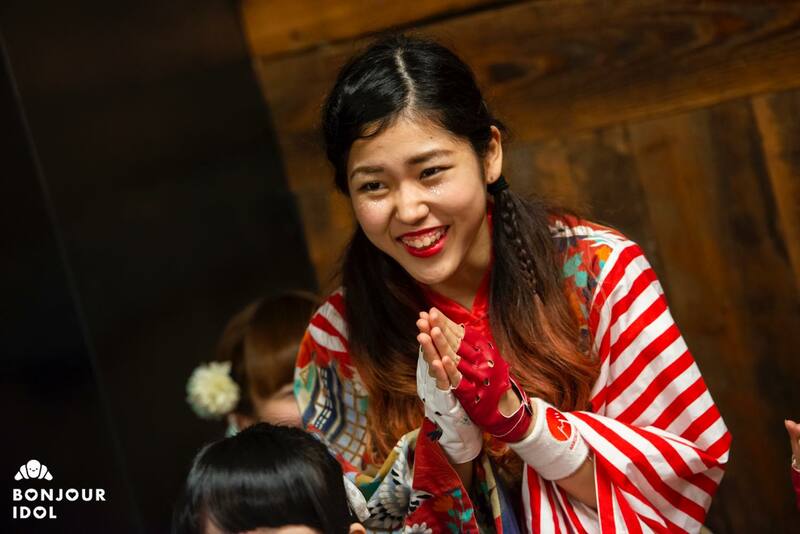 Koma: The idea was that thanks to our idol activities, live performance, and even through our Youtube videos, we want to cast a shining light on Japanese culture! We’d like people who see us to feel inspired to come and visit Japan and our beautiful prefectures too. We also saw all those prank videos you did as Imo Jersey (the name they use on Youtube for their comedy videos)! They were very funny! Congratulations on winning Tokyo Candoll! Have you performed abroad before? Mei: It’s the first time! That makes us very happy that your first performance abroad will be in France! Are there things you want to do in Paris? Are you planning on travelling around? Mei: Yes, because if we deliver an outstanding performance to foreign idol fans, maybe it will get people to like and support us, and we might get to come back and maybe perform in more countries! That’s our current plan! Japan Expo is in France, but it is the biggest convention in Europe and people from many other countries will be there to meet you. Can you speak some English? Mei: …not really (laughs) We’re studying a little! Idol fans in France are very excited about the idol guests each year. They’re also really excited to participate during live performances! Do you know some French words to talk to them when you meet them? Everyone: Woah! Even MIXing! So cool! That was perfect! France and Europe absolutely loves Japanese culture like anime or music, but do you like some things from France yourself? Maria: My mom also really loves architecture and she got very excited that I may get to go and see it in real life… the buildings look so different from Japan, I really want to see this. Rima: Yes, Himawari is a big Star Wars fan! Mei: She’s the one studying both English and French! BANZAI JAPAN has covered Hatsune Miku’s “Senbonzakura” before, and this song, and Vocaloid music in general, are extremely popular abroad. Are you planning on performing it in Paris? Fumi: Maybe if we sing something very popular, it will attract more people? Rima: Also dancing to Banzai Ondo? Like, bon-odori style? Mei: We will remember these precious advice, that is very helpful! Back to BANZAI JAPAN’s activities – you participated and won Tokyo Candoll, you are also active in the mysta festa contests, Aidoru Matsuri, Showroom streams… what’s next on your journey to the Olympics after you come back from Paris? Mei: What about big venues or events? We noticed in these events that both other idols and fans have been praising your high energy and your big smiles. Have you made friends with other idol groups during these contests and events? Sato-san is the resident idol fan, right? This turned into some kind of idol otaku talk in the best way! (laugh) We are approaching the end of our interview. For those who are just getting to know BANZAI JAPAN reading this interview, what songs would you recommend? Koma: My favorite is definitely “Negaiboshi”! The dance is very cool, the style is very rock-like and it’s also a fan favorite here so I think people in France will enjoy it too! Shiori: Also “Banzai Japan!” of course! It has so many words related to Japanese culture inside, and it truly shows not only the many faces of Japan’s magnificent charm that we are so proud about, but also BANZAI JAPAN’s spirit, I hope everyone will like it! Staff: We actually have an English version of “Banzai Japan!” ready, but we still did not have enough time to nail it down during rehearsals. We really want to perform it at some point though. Do each of you have a special message for our readers and those who will see you at Japan Expo? Fumi: This is our very first opportunity to perform abroad and it is all thanks to our fans here in Japan, but now we really want show Japan’s marvellous culture to everyone in France, and we would be very happy if you’d come and enjoy our performance! Rin: We want to show that both BANZAI JAPAN and Japan itself are beautiful places, and we would like to make people want not only to come to Japan, but to come to Japan to meet us. We’re looking forward to meeting everyone and we hope you will like BANZAI JAPAN! Thank you for answering our questions and letting the world know more about BANZAI JAPAN! 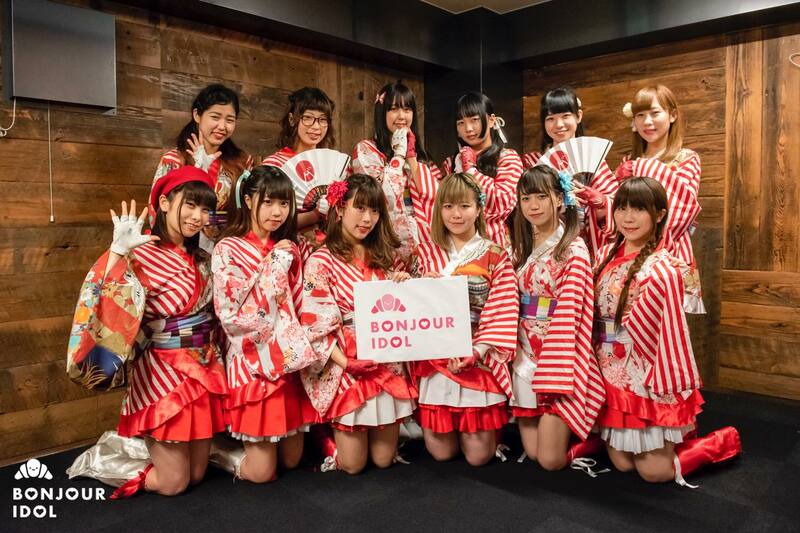 As indie idol fans ourselves, we are very happy such an interesting group gets to represent them in Paris this year. Hopefully we see more from BANZAI JAPAN in the future and have a lot of fun in France! 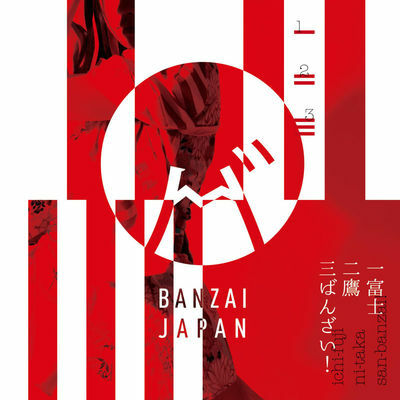 Please support BANZAI JAPAN by purchasing their album “Ichi Fuji Ni Taka San Banzai” on iTunes!